The 25th of July 2018, I delivered a key-note speech during a side-event of the 22nd International AIDS Conference. The theme of AIDS 2018 was “Breaking Barriers, Building Bridges” drawing attention to the need of rights-based approaches to more effectively reach key populations, including in Eastern Europe and Central Asia and the North-African/Middle Eastern regions where epidemics are growing. 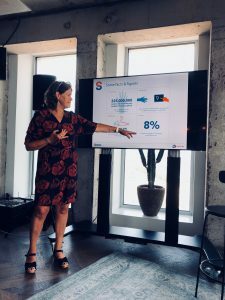 AIDS 2018 took place from 23rd – 27th of July 2018 in Amsterdam. More information about AIDS 2018, including session recordings, can be found here. 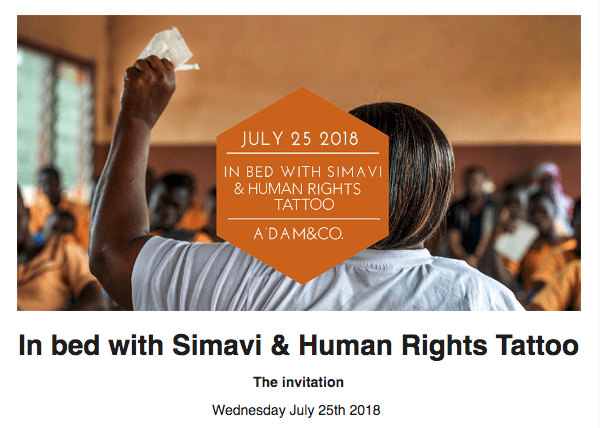 The title of the side-event was ‘In bed with Simavi & Human Rights Tattoo’. 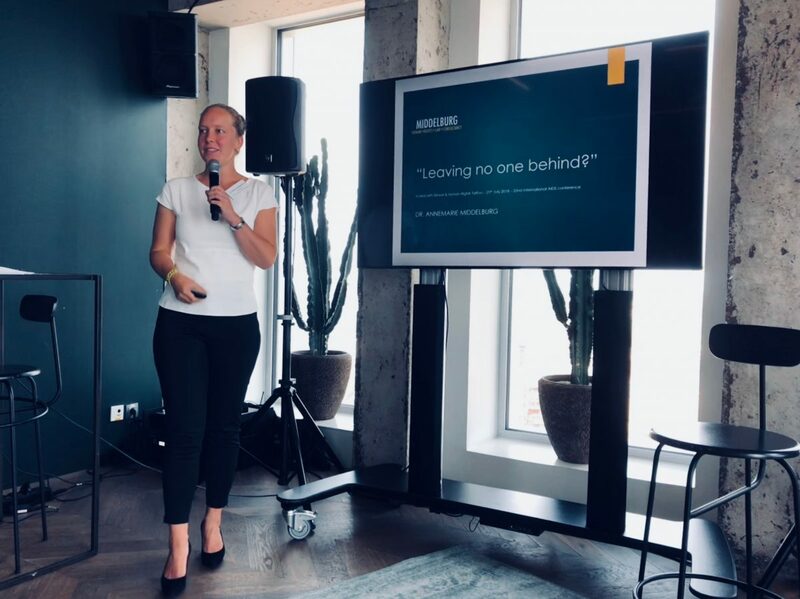 It took place at the A’DAM tower (private members’ club located on the 18th floor: A’DAM&CO): what a nice location for an event! I was invited by Simavi to deliver a key-note speech at this side-event. Simavi is a Dutch NGO established in 1925 focusing on health-related issues. Simavi improves the basic health conditions of vulnerable and disadvantaged people (especially girls and women) to ensure that they can live a healthy life. 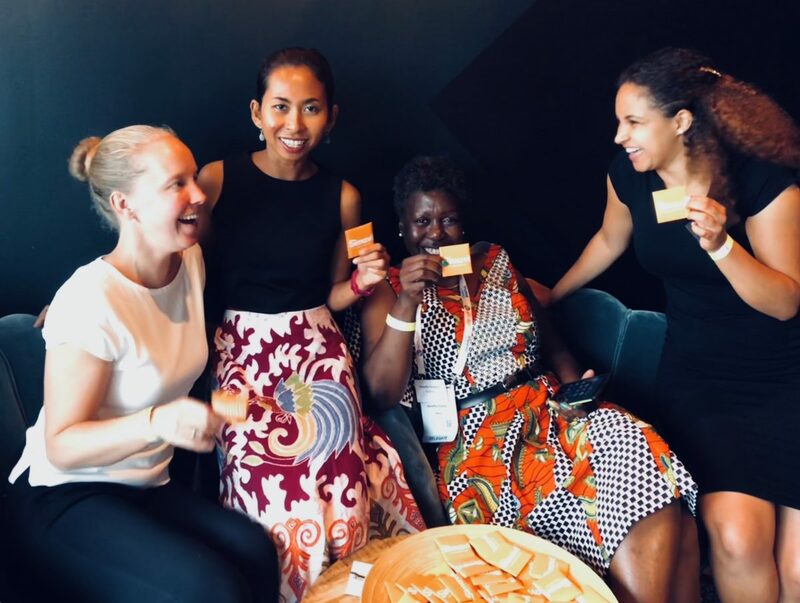 They work together with local organizations in low- and middle income countries in Asia and Africa, more specifically in Bangladesh, Nepal, India, Indonesia, Ghana, Malawi, Kenya, Tanzania and Uganda. • Improve their daily hygiene and make use of sustainable facilities for safe drinking water and good sanitation. • Make informed decisions about their sexual and reproductive health and rights. They aim for people to make their own choices, out of their own free will, without discrimination or violence. That is how Simavi aims to build a healthy life for everyone. What is Human Rights Tattoo? Human Rights Tattoo is an initiative of Sander van Bussel, a visual artist from the Netherlands, known for his social art projects. The Human Rights Tattoo art project aims to create awareness and underlines the importance of human rights. Their goal is to tattoo the complete text of the Universal Declaration of Human Rights on individuals, letter by letter (6773 in total). Each person gets one character. Every person and every tattoo is documented by a photo of the tattooed letter, a name and motivation. The project tours around the world and the 25th of July they were back in Amsterdam. For this special event, Simavi selected people via a nominee system. Spots were reserved for those nominees who have made significant contributions to advance the rights of people, specifically women & girls, living with/affected by HIV/AIDS. In addition, there was an exhibition of Human Rights Tattoos all over the world. Right now, they have tattooed 3462 letters (so they are more than half way!). It is such a great initiative. I never thought about taking a tattoo before in my life, but I started considering having one and be part of this project. I didn’t have the courage to take a tattoo during the event, but who knows: perhaps in the upcoming months?! Simavi and Human Rights Tattoo jointly organized the interactive side-event, which started off with an inspiring opening speech of Ariette Brouwer (Managing Director of Simavi). After a short intermezzo and a quiz (with yes/no type of questions like: “Is parental consent for young people’s access to SRHR services is conflicting with human rights?” and “Are sexual and reproductive rights part of the Universal Declaration of Human Rights?) I delivered my key-note speech. My presentation was entitled ‘Leaving no one behind?’ referring to the 2030 Agenda for Sustainable Development. In the third place, I made a bridge to HIV-AIDS. My powerpoint presentation can be downloaded here. I concluded that a better integration of SRHR, HIV-AIDS and human rights is necessary: people living with HIV are human beings with dreams. They have desires, they have the right to have a partner, to get married, to have children and to have a sexual life. I am of the opinion that we need to put more effort in making sure that those rights will be realized and we indeed ‘leave no one behind’. Dorothy Onyango is the CEO and founder of Women Fighting AIDS in Kenya (WOFAK). WOFAK was founded in 1994 by women who were infected and affected by HIV. She has presented many academic papers on HIV across the globe and has written a book “Beyond Public Confession” on how empowerment of HIV positive people can play a key role in their lives. She was the first chairperson of Network of people living with HIV in Kenya. Additionally, she is the outgoing chair of Pan African Positive Women’s Coalition (PAPWC) and board member of the National AIDS control Council. Fita Rizki Utami is the National Programme Coordinator for the Get Up Speak Out (GUSO) Programme in Indonesia. She has been working extensively or sexual and reproductive health issues, especially on young people almost for more than 10 years. 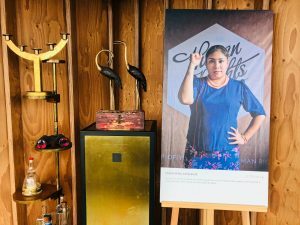 Her personal experience as a young women in Indonesia motivated her to be part of the SRHR movement in Indonesia. Sanne Thijssen is a passionate advocate for young people’s sexual rights and meaningful youth participation. She has been selected as a 2018 Women Deliver Young Leader; a unique position in which she champions gender equality and the health, rights, and wellbeing of girls and women. In her previous role as the Dutch Youth Ambassador for Sexual and Reproductive Health and Rights, Sanne influenced international policies and informed decision-making by working closely with the Dutch Ministry of Foreign Affairs, and by having direct access to global youth movements and youth organisations. Sanne aims to inspire others to break free and catalyse change in their own communities. The moderator was Morillio Williams, who works currently as Advocacy Officer SRHR at Simavi. We discussed sexual rights & sexual freedom with a focus on women & girls living with/ affected by HIV-AIDS in different parts of the world (Africa, Asia and Europe). More specifically, questions were raised by Morillio focusing for example on barriers women in Kenya living with HIV-AIDS face in realizing their SRHR, as well as possible solutions for these problems. In addition, a question was addressed focusing on the cultural and religious norms hindering young girls and women in relation to their sexual rights and freedom as well as how to go about it, as well as the role of meaningful youth participation as an SRHR intervention. Later on, the floor was opened up for questions and we had a fruitful discussion on different interventions on SRHR in different contexts, lessons learned and good practices. Afterwards, we had drinks at the 18th floor with a 360 degree view over Amsterdam. It was a lovely day with wonderful people at a great location. Thank you so much again for the invitation!